SKU: CM-A019AS-3. 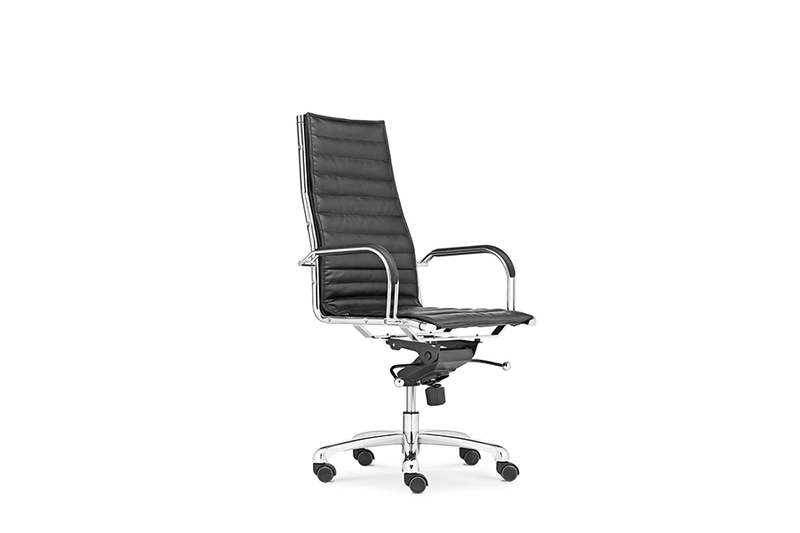 Category: Executive High Back Chair. According to ergonomic principles, based on the human body bump streamline design , elegant and dignified appearance, solid structure. Full environmental raw materials production. Handrails appearance, freedom streamlined silhouette effect , so the seat proactively with human spine curves combine to provide the perfect support for the body , amazing comfort. 1 , Steel : Φ25 * 1.9mm tube, high-quality A3 steel, surface plating , stylish , elegant, crisp and concise. 2 , Screw : After cold and hard , computer paint handling . Lo teeth spray paint anti- retreat , long-term use will not loosen the screws back, does not beep . 3 , chassis : to fit the general population , 30 million times the pressure back through the front and rear tilt test . Certification by the American BIFMA5.1. 4, the pressure lever : 360 degrees of rotation a test cycle , the test 120,000 times ; roundtrip lift 100,000 times ; through the U.S. BIFMA5.1 certification , SGS certification. 5 , Ipomoea feet : A3 steel , strong beautiful, can withstand 1136KG stress tests of American BIFMA5.1 testing standards. 6, PU casters : After 10 million times rolling tests of American BIFMA5.1 testing standards. 7 , leather : PU with a thickness of 1.0mm and a half Sipi , by tension, elasticity , resistance to scratching , bleaching , abrasion tests. 8 , handrails : Iron + plastic Rotary club , Rotary armrest surface is plastic . Simple, elegant , resistant to cleaning.